Bold and breathtaking. Olympia’s unique elastic upper complements the sandals supple, lustrous leather while lending comfort and flexibility. 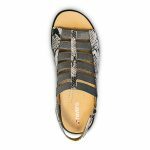 A hook-and-loop backstrap on these ladies’ orthopedic shoes secures the foot for all-day comfort. 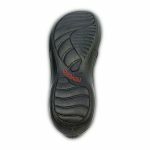 These sandals with backstrap also come fitted with a removable footbed, and leather linings.